With our sincerity and hard work, we have been able to establish ourselves as one of reliable supplier, distributor, trader, retailer and wholesaler of Tata Vending Machines. This array comprises 6 Option Vending Machine, 8 Option Vending Machine and 2 Option Vending Machine. We offered Tata vending machines as per the international quality norms to ensure these are able to stand tall on the expectations of patrons. 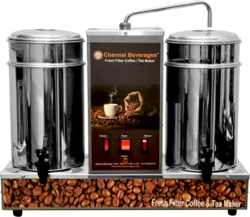 With the aid of modern tools and sophisticated technologies, we have been able to provide the customers with a commendable assortment of 8 Option Coffee Day Vending Machine. The offered range of machines is developed in tandem with the international quality norms & standards using genuine raw material, advent tools and sophisticated technologies. 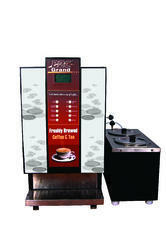 We are engaged in offering Machines, which have 4typres of Tea and Coffees. These machines are manufactured by using high grade Stainless Steel and with the aid of modern machines. 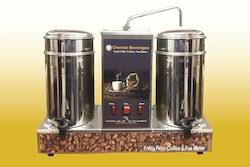 Owing to which these machines have durability and perfect design. Looking for “Tata Vending Machines”?